Jam has had a rough year. Reeling from the loss of her boyfriend, Reeve, her parents send her to a boarding school in Vermont for emotionally vulnerable teenagers. There, she's inexplicably placed in a special topics in English class. Her roommate is insanely jealous, but Jam is indifferent--what's so special about reading nothing by Sylvia Plath all semester long? But Jam and her classmates soon discover that it's not the author they study that makes the class so special, but their teacher Mrs. Quenell and the journals she passes out at the beginning of the semester. When Jam writes in her journal, she is transported to a place where she and Reeve are together and happy. Each student experiences something different with their journals, but they form a bond based on the impossibility of their experiences. They call their journal place Belzhar, after Sylvia Plath's Bell Jar and meet weekly to discuss what they see when they go there. Their friendship is only shadowed by one looming question--what happens when the journals are full? 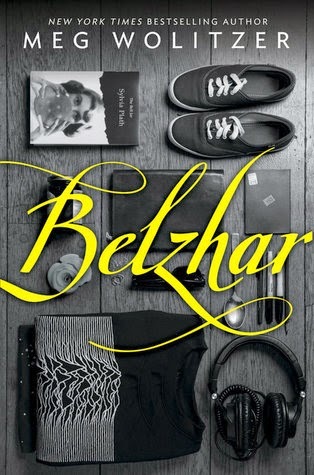 Belzhar is a deeply compelling novel with a fascinating premise. I loved Jam's intelligent voice from the first page. She's completely aware of why she is being sent to Vermont, but she's deeply hurt by Reeve's absence and she can't seem to get past her pain. She's apathetic and a little naive at first, just putting herself through the motions. Mrs. Quenell's class presents Jam with a little mystery to entice her out of her own memories and thoughts: Who is Mrs. Q? What's so important about her classes? Why is she retiring at the end of the year? And where did she get the journals she hands out every semester? Eventually her questions lead her to her classmates. The friendship between the members of the small English class is lovely and odd. Mrs. Quenell asks them to look after each other, and they come together slowly, tentatively. They form fast bonds, but they're also lopsided and imperfect friendships. Jam's friendship (and eventual romance) with Griffin is a lovely thing to watch, although it does seem to push aside her potential to deepen her friendships with her other classmates. All of the students learn the dangers of dwelling in the past, and they're forced to face their losses head-on until they come to a painful decision: move forward, or stay in the past. The revelation of Jam's entire story is surprising and inevitable, but her truth is overshadowed by the larger drama of her classmate's reaction to her own truth. The magical realism elements beautifully illustrate the painful reality of how we must deal with loss and life, and give the story much higher stakes. Belzhar is a little strange, very thoughtful, and emotionally hefty. Book borrowed from the library. Wow. The premise of this book is very intriguing! I'd love to read it.